Hopefully today you're taking it easy after a holiday of turkey, football & pumpkin pie! It's also now officially time to start thinking about Christmas! 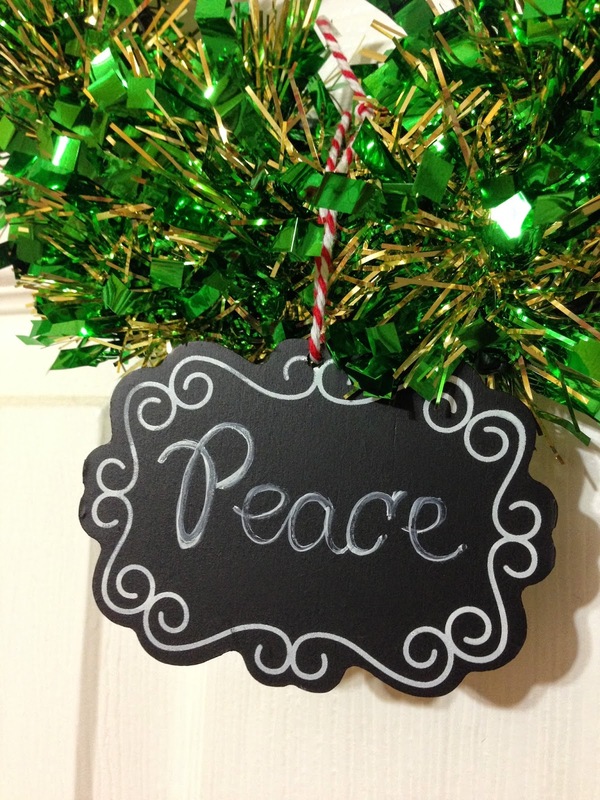 It's Day 5 of '12 Days of Holiday' & today we're talking about ornament swaps! Have you ever participated in one? This year was my first time & it was so fun. I signed up through instagram & was paired with a crafter in Canada. It was such a great experience getting to know someone through social media & email & then creating some unique ornaments to adorn her tree. 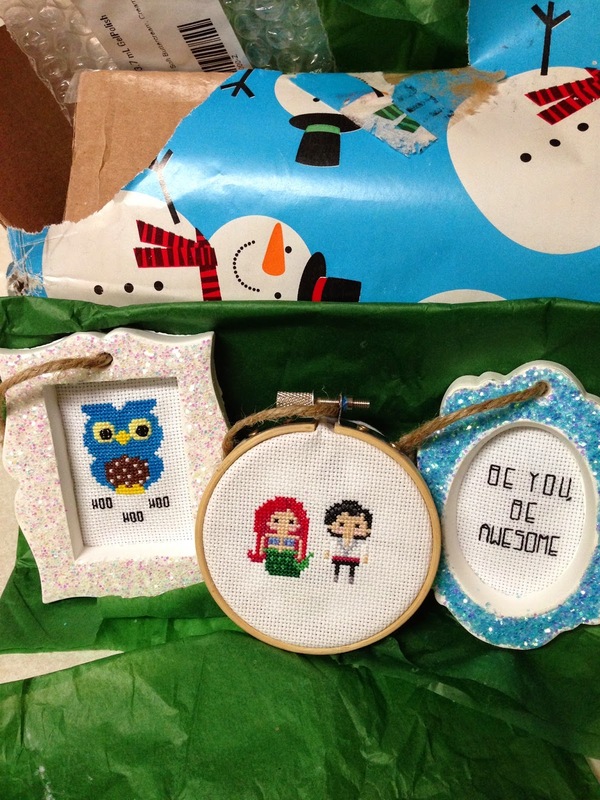 And in return, she sent the most adorable cross-stitch baubles for our tree. And Canadian candy! I had no idea, but there are a ton of tasty candies that you can only get North of the border. I haven't had a chance to put our tree up, but I cannot wait to a front & center spot for her creations! 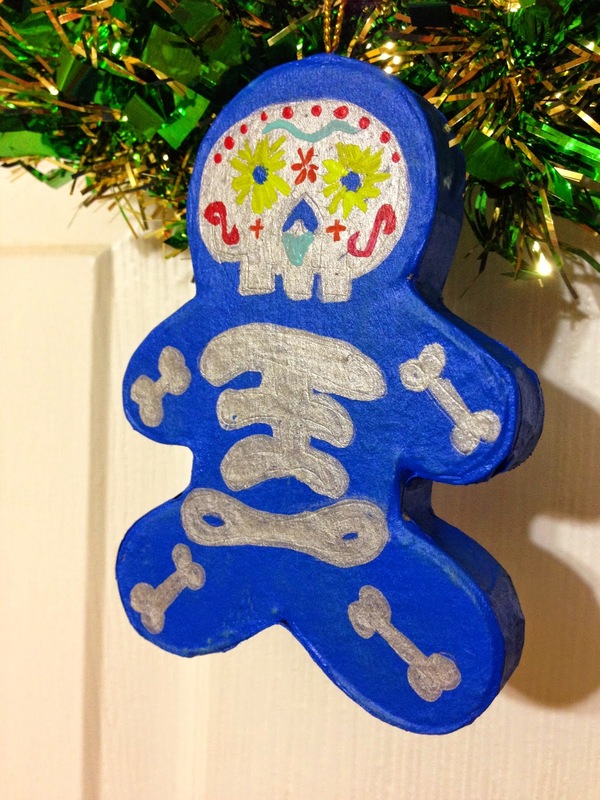 So for my new Canadian friend Amanda, I created two gingerbread men in the spirit of Dia de los Muertos. Amanda loves Tim Burton & his movies, but said that she already owned a lot of things in that style. 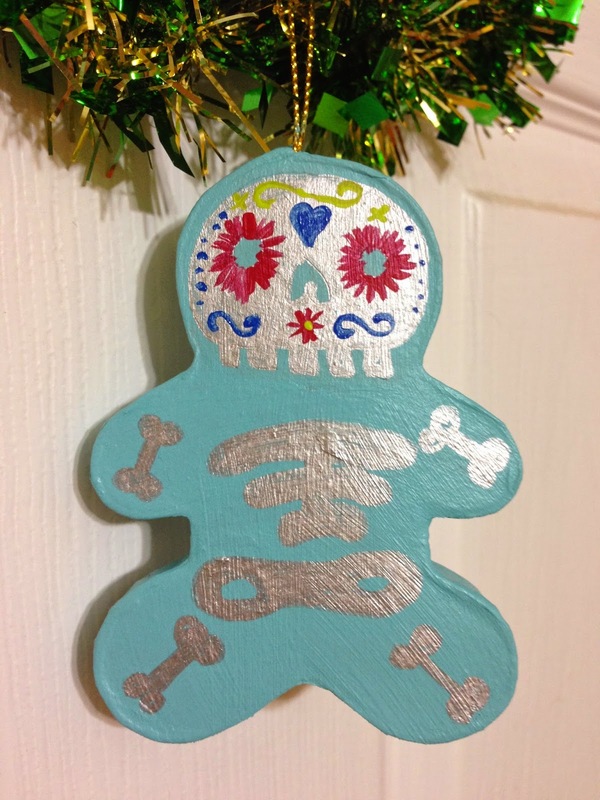 So, on a hunch, I painted a couple of paper mache gingerbread figures & adorned them with spooky, but bright & fun adornments. 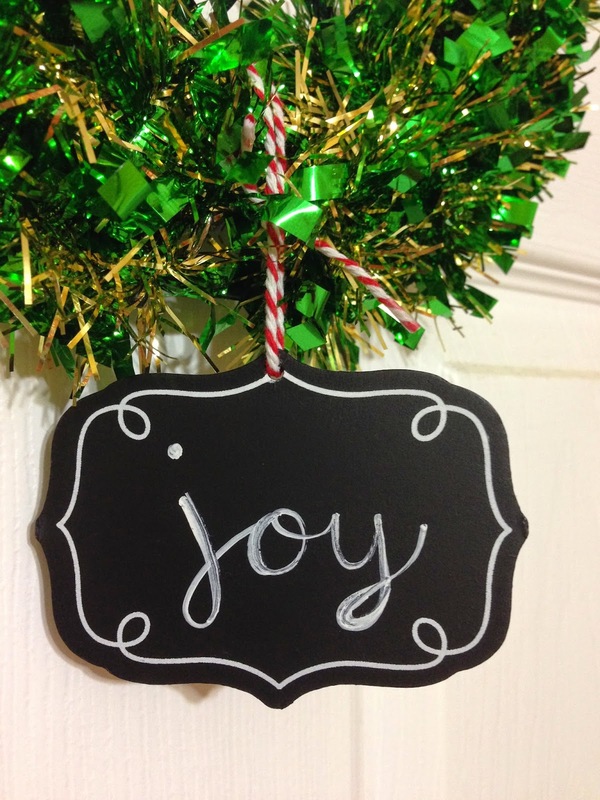 I also made a couple of chalkboard ornaments with holiday 'words' on them....is there anything that isn't adorable in chalk style? I found these blank ornaments at Michaels, decorated them with a white permanent paint pen & added a little baker's twine. I hope that she likes everything! I added in a few candy treats, but after doing a little research & talking to our good friend who's from Toronto, we realized that there isn't much from America that you can't get in Canada. Now to see what sweet Amanda sent me. Aren't these awesome? Cross-stich is so fun & unique, I'm so psyched to have these handmade beauties. And all of the Canadian chocolate? Delicious!